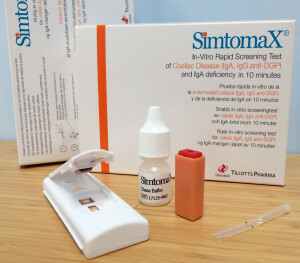 Simtomax finger-prick test for celiac disease. Could you have Coeliac Disease? Do you suffer from IBS type symptoms, loss of energy, ‘foggy’ mind, depression, anxiety, or an autoimmune condition? It just might be gluten! Simtomax is a finger-prick test which indicates if your symptoms might be down to a gluten related issue. Simple to use, Simtomax measures IgA and IgG antibodies against a combination of deamidated gliading peptide antibodies (DGP) using just a few drops of blood and giving you the results in just 10 minutes. It will also test for IgA deficiency which if positive could make an IgA test prone to false negative result. 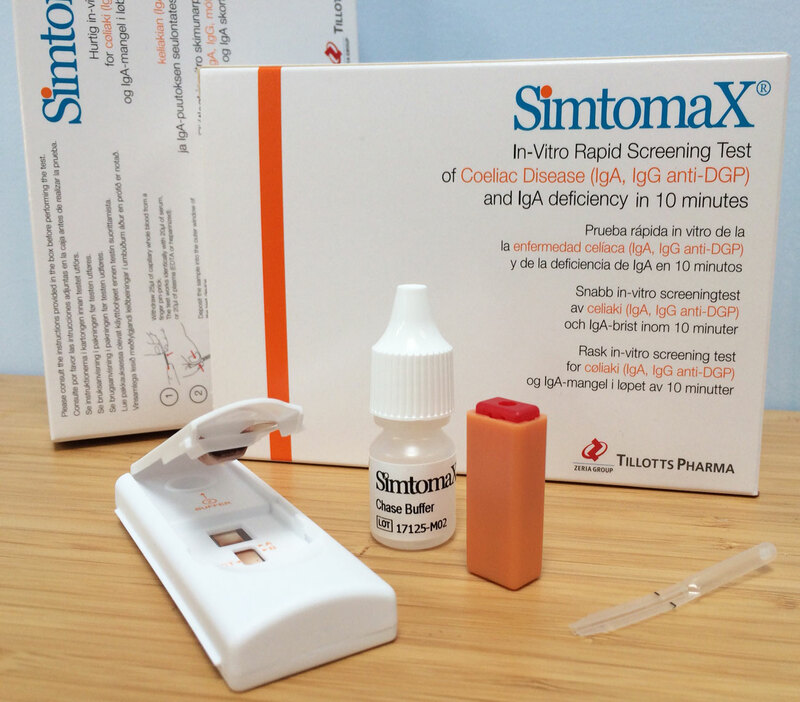 Simtomax has been shown in studies to have similar levels of sensitivity and specificity as standard serological analysis using tissue transglutaminase, which is the first choice of testing for coeliac disease on the NHS. 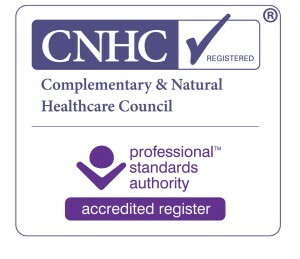 This makes it an ideal test for screening out Celiac Disease and can be carried out then and there during a nutritional therapy session. The results are available in 10 minutes. IgG is the most common antibody type representing about three-quarters of the serum antibodies in people but it is less specific to CD which tends to be an IgA immune reaction in the small intestine. Why should I bother testing? It is important to establish if you do have CD because this indicates the degree to which you must avoid gluten in order to mitigate the risks of developing serious autoimmune conditions. Concerns with self-diagnosing a gluten issue but not having a CD test is that undiagnosed CD, and therefore a more relaxed attitude towards avoiding all gluten, increases the risk of auto-immune diseases, bone disease, low fertility and malignancy in the form of cancer of the small bowel and oesophageal cancer. It is estimated that up to 75% of CD cases remain undiagnosed. If the test results indicate a positive result for CD it is recommended that this be discussed with your GP for further investigations. It should be noted that even if you have a negative result to this test this doesn’t mean that you have completely ruled out a gluten issue as you could have non-coeliac gluten sensitivity which could be established via a strict elimination diet followed by re-introduction. Ref: ‘Early diagnosis of celiac disease in IgA deficient children: contribution of a point-of-care test.’ (Bienvenu et al 2014, BioMed Central). ‘Diagnostic accuracy of a new point-of-care screening assay for celiac disease’. (Benkebil et al, 2013, World of Gastroenterology).